This past week I visited a familiar place that I love going to over and over again; our nation’s capital Ottawa. I have been to Ottawa many times but every time I go there I am filled with patriotism and pride for my birth country Canada. I have been to most, if not all, of the museums the city has to offer like the War Museum and Parliament Hill. 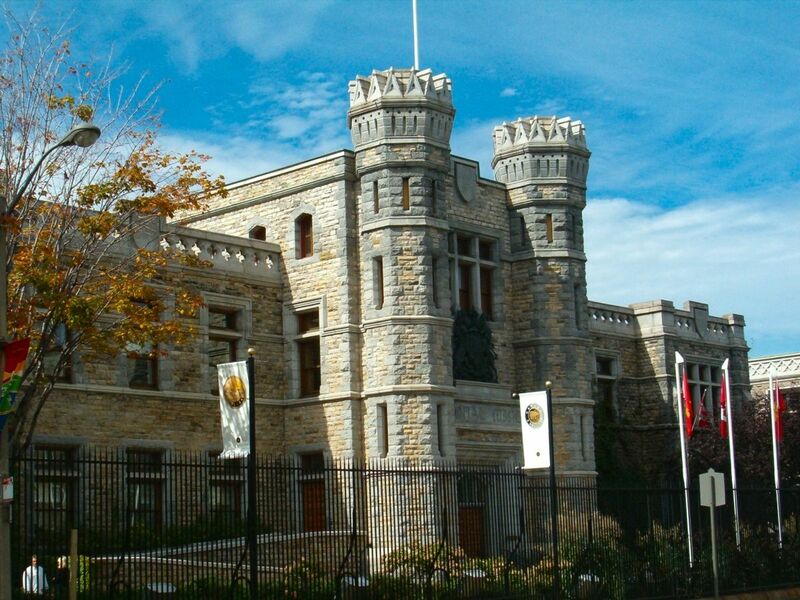 One of the places I visited was Royal Canadian Mint. At the mint I was able to go for a tour, yet you cannot take pictures inside because even though the outside looks like a castle, inside it is a working factory. Once inside they showed us the process of transforming bricks of gold, silver and platinum into investment and collector coins. They have a forge that melts down the metal, presses, cuts, weights, inspects and stamps the coins. It was a very informative tour and an impressive process. However, I also learned a lot about the mint that I had not known before. I found out that the mint also produces coins for other countries. They estimated that they have produced coins for over 60 countries. Not only coins but the mint also created the Vancouver 2010 Winter Olympic and Paralympics and the Toronto 2015 Pan Am and Para Pan Am Medals. They had examples of the Olympic medals on display and I learned that each medal has a part of a larger image. If you place all the medals beside each other they create an aboriginal artwork of an orca and the Paralympic medals of a raven. Not only that but the medal are in a wavy shape to represent the mountain range in British Columbia. Inspiring! They also told us about their purity of the gold. Most gold in the world is pure to 99.99 (99.99%) or four 9s. But the Royal Canadian Mint can get a purity of five 9s or 99.999. They showed us the largest, purest gold coin in the world. 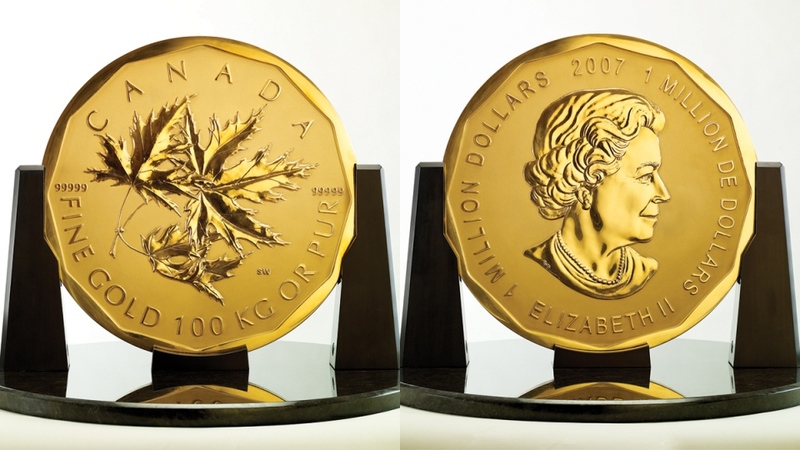 It has a face value of $1,000,000 CAD. The Australians have a larger gold coin but theirs’ is only 99.99 pure. 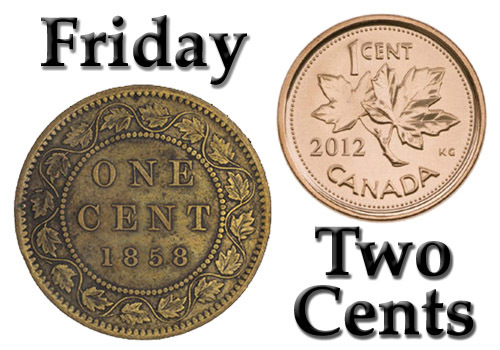 The Canadian coin is 99.999 pure and they made only 5 coins, which a few individuals and companies bought them. But because they are also collectors’ coins their value has gone up to be worth about $4 million and it keeps going up in value. One was stolen from a Berlin museum in March and its whereabouts are currently unknown. Another one of the owners is a billionaire from Saudi Arabia. They say he uses is as a coffee table. Must be nice to have money eh. After the tour I was even able to lift a bar of gold. Mind you it was chained to the platform and a security guard was right beside it. If you ever get a chance to lift a bar of gold, try it. The first thing that I noticed was that the gold was soft to the touch like lead or hard clay but metallic. Also it was extremely heavy. One bar of gold weights 28 pounds and with the price of gold I was holding about $725,000 CAD or $575,000 US in my hands. I can now say that I have held over a half a million dollars in my hands, WWWOOO what a rush. Gold rush, that is. Nice Coin – Recognize the Firefighter? Over $725000 of Gold in my hands! !